You’d have to be dwelling in a cave, cut off from contact with the modern world, to not know who Jane Goodall is. A wildlife conservationist legendary for her research with chimpanzees at Gombe Stream National Park in Tanzania, she is one of the most recognized and beloved environmental advocates on earth. Goodall was part of a campaign organized by five conservation-minded women in Jackson Hole called “Shoot ’em With A Camera—Not A Gun.” The purpose: to make the case that grizzlies are worth more alive than dead, helping to boost a $1 billion annual nature-tourism industry in and around America’s first national park. More surprisingly, Goodall’s enigmatic maneuver won praise, not derision, from a retired civil servant who built his career by being a hunting advocate. Dan Ashe, former director of the U.S. Fish and Wildlife Service, had been the very person who, during the Obama administration, gave the green light for grizzlies in the Greater Yellowstone region to be hunted again, some 43 years after being federally protected under the Endangered Species Act. A believer in both regulation and market forces, Ashe notes that incentives play an important role in fostering conditions that enable conservation to thrive better on the ground. Part of that, he says, is demonstrating how perceived liabilities can actually become assets. Doing what’s right for the land, he added, can be good for the economy and society too. PERC’s ideas about incentives have been gaining traction nationwide. But it’s in the Greater Yellowstone region where the concepts it has championed have been applied most. I’ve witnessed them first-hand as an environmental journalist. As Fish and Wildlife Service director, Ashe helped to evolve the use of “safe harbor” agreements. Under such agreements, if a private property owner discovers that their land is home to a federally listed species and voluntarily takes steps to help recover it, the same landowner can, under some circumstances, be exempt from more onerous land-use regulations in the future. 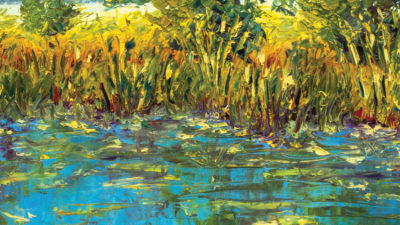 Whether the goal is achieving better habitat protection for imperiled species and game animals (through concepts such as conservation easements and safe harbor agreements), allowing non-hunters to have greater say in 21st-century management of public wildlife (vis-a-vis Shoot ’em With A Camera), advancing the notion of society rewarding property owners who deliver ecosystem services (through emerging carbon and water markets), or enabling conservation to factor into more decisions involving traditional resource extraction (such as recent efforts by conservationists to bid for timber contracts, grazing, and energy leases), Ashe says carrots can be as effective as regulatory sticks. It doesn’t mean market approaches are not controversial, Ashe notes. Any time conventional status quo thinking is challenged it is bound to meet resistance. But enabling citizens and companies to back up their green convictions by voting with their wallets, he says, can be as impactful as showing up in the voting booth or passing a new law. In 2018, PERC research fellow Shawn Regan and Bryan Leonard, a professor of environmental and natural resource economics at Arizona State University, published a paper titled “Legal and Institutional Barriers to Establishing Non-Use Rights to Natural Resources” in the Natural Resources Journal. It provides a comprehensive analysis of how public policy, crafted in an earlier age and tiered primarily to the consumptive use of resources, is not reflective of shifting societal values. Traditionally, public lands have been managed for their ability to generate economic activity through the sale of merchantable commodities. But in recent decades there’s been an emerging recognition of “non-use values” that involve protecting landscapes rather than developing them. It’s reframed notions of “highest and best use.” In many instances, Regan and Leonard contend that environmental groups value certain landscapes and resources for non-use purposes such as recreation, environmental protection, or other amenities more than developers do for traditional uses—and they have demonstrated they are often willing and able to pay for it. For example, trees in a national forest, over the long term, may be worth far more to environmentalists if left standing than they are to timber companies. But, often, the federal laws and institutions that govern the use of those resources prohibit environmental bidders from acquiring rights for non-consumptive purposes. In many cases, federal agencies have not only given deference to traditional resource extraction industries, but attempts to leave resources unexploited by those willing to pay to do so have been maligned as illegal or antithetical to bureaucratic missions. In practice, various laws and policies require leaseholders to develop the resources, effectively precluding environmentalists from participating in the market-like processes that Ashe commends. Nonetheless, while the absence of clear public policy direction remains problematic, market-based solutions have quietly been advanced, achieving in many cases profound outcomes in saving taxpayers money, generating revenue for the U.S. Treasury, reducing conflicts, and achieving conservation dividends. 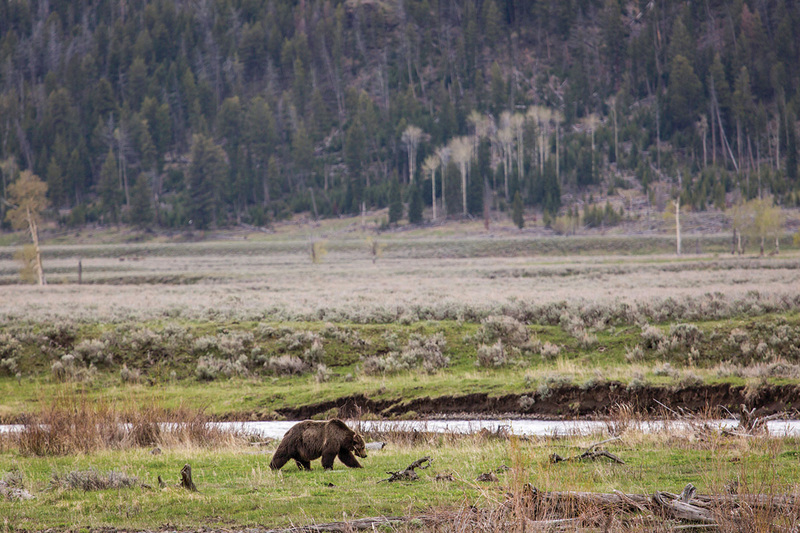 Collared grizzly bear in Lamar Valley. For decades PERC’s ideas about incentives have been gaining traction nationwide, from helping to devise economic models that lead to sustainable fisheries to developing market approaches for allocation of water. But it’s arguably been in PERC’s own bioregion, the Greater Yellowstone, as well as other corners of the West, where concepts it has championed have been applied most. I’ve witnessed them take hold firsthand as an environmental journalist. For instance, two PERC alums, Pete Geddes and Laura Huggins, are involved with the American Prairie Reserve’s ambitious goal of protecting three million acres of land on the high plains of Montana and re-establishing bison as cornerstones of biological diversity. APR, as it is called, has been purchasing private ranches from willing sellers, and an offshoot, Wild Sky Beef, led by Huggins, pays ranchers premiums if they engage in certain management practices such as not shooting prairie dogs, erecting wildlife-friendly fences that allow safe passage for species like pronghorn or deer, and exhibit tolerance toward predators. One novel aspect is that ranchers who deploy camera traps and show pictures of predators using their land are paid a per-species “bounty” as a reward for their coexistence. Even dyed-in-the-wool conservationists are heeding and heralding the impact of economics to reframe societal thinking. Lisa Robertson, who cofounded Shoot ’em With A Camera as well as the non-government organization Wyoming Untrapped, worked with wildlife researcher Mark Elbroch of the wild cat conservation group Panthera to deliver a different kind of eye-opening data point. In Wyoming, where bobcats are trapped for their fur, single pelts typically sell for a few hundred dollars apiece. Robertson and Elbroch attempted to calculate the value of a single living bobcat in Yellowstone National Park that attracted legions of wildlife photographers. They estimated that one bobcat, by being alive and visible, generated more than $308,000 in economic activity to the region in a short span of months, far more than the going rate for a bobcat fur. “Cultures around the world are changing, and wildlife managers around the world need to think beyond the North American Model of Wildlife Conservation, which prioritizes hunting and trapping constituents over non-consumptive users,” they wrote in an article that appeared in the journal Biodiversity and Conservation. 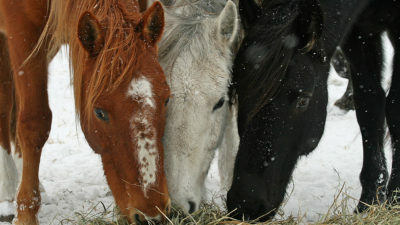 Another prime example of market forces at work is an initiative carried out by the National Wildlife Federation and other partners to purchase livestock grazing allotments from willing ranchers in the Greater Yellowstone Ecosystem, where livestock on public land were coming into chronic conflict with expanding populations of grizzly bears and wolves. 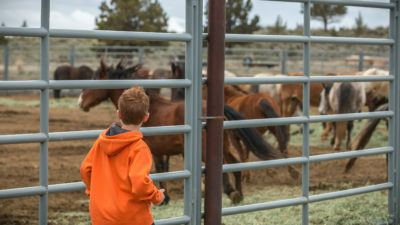 Bears and wolves were getting shot and killed, ranchers were suffering financial losses, and agencies like the U.S. Forest Service were coming under a barrage of public criticism for allegedly favoring the interests of cattlemen over native wildlife. By compensating them for removing their livestock, ranchers felt as if their assets were respected, and grizzlies and wolves were able to inhabit more conflict-free habitat on public land. As their populations expanded, so, too, did the prognosis for their biological recovery. “We’ve retired the most contentious livestock regions in the area, the ones that have been the knock-down drag-out fights for 10 or more years,” said Hank Fischer, a retired professional conservationist with the National Wildlife Federation who brokered many of the deals and who previously helped set up the compensation program that Defenders of Wildlife offered to ranchers for livestock losses due to wolves. Jane Goodall was one of 7,000 people who paid a small non-refundable fee, about $15, and sought to win a grizzly tag. Hundreds if not thousands inspired by Shoot ’em With A Camera submitted applications. A little more than $100,000 was generated by those grizzly bear hunting license applicants—not much in the big picture. Wyoming officials say that more than $40 million has been spent by the state managing grizzlies since they were federally listed in 1975, and part of that expense involves compensating ranchers for losses. Certainly, the economy would have benefited by having bear hunters enlist the services of outfitters and guides and spend money on hotel rooms and meals. 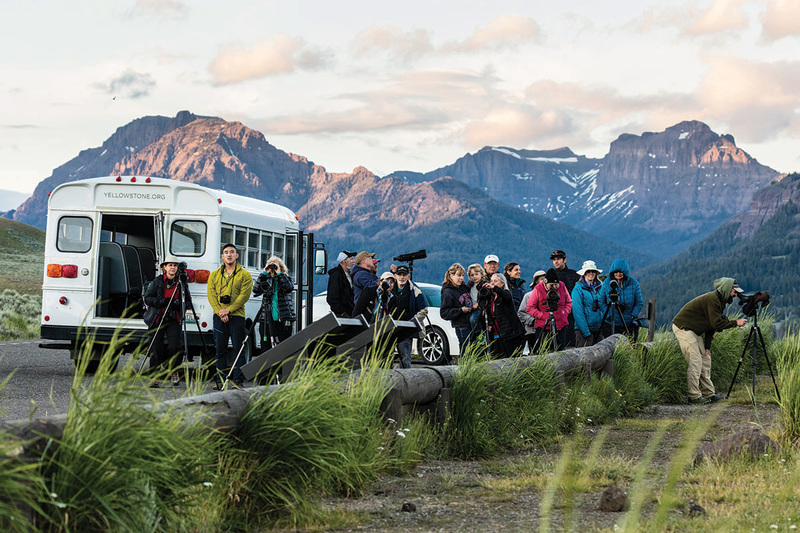 However, non-consumptive wildlife watching in the Greater Yellowstone region is a huge business, likened to the global appeal of travelers who head out on nature photo safaris to Africa. That trend is only likely to continue, though the outlook for hunting intergenerationally is not bullish. Traditionally, hunters have played a substantial role in funding conservation. But today, Ashe notes, numbers of hunters nationally are in decline. 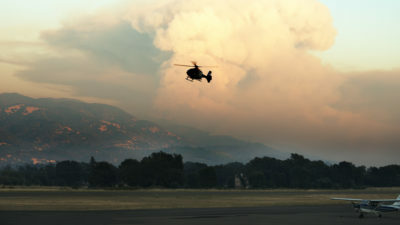 That has translated into smaller revenue pools for state and federal wildlife agencies, many of which have been traditionally funded by receipts generated from license sales and excise taxes levied on the sale of hunting and fishing gear through the Pittman-Robertson and Dingell-Johnson acts. What if citizen bear advocates were able to buy a non-consumptive grizzly tag year after year, generating significant fees for the game and fish department? Ashe points out that more than 650,000 people submitted public comments over the Obama administration’s decision to remove Yellowstone grizzlies from safeguarding under the Endangered Species Act. 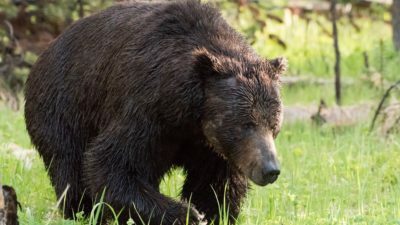 Most of those who commented were opposed to delisting the species, and they voiced disapproval for trophy hunting, knowing that under state management the re-commencement of grizzly hunting seasons were likely. Ashe poses a question: What if citizen bear advocates were able to buy a non-consumptive grizzly tag year after year, generating significant fees that could be channeled to help the Wyoming Game and Fish Department that currently relies on big-game license sales to meet its budget? 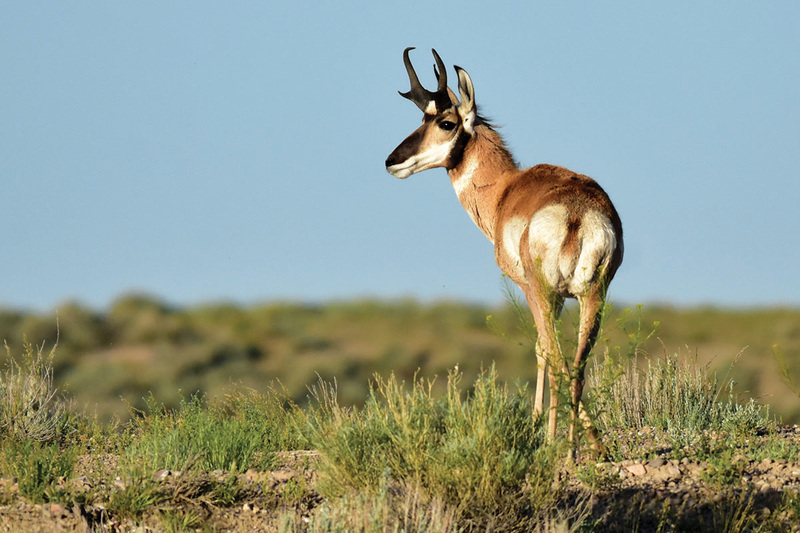 “I see it as creating a bigger pie to support wildlife management and enable a more diverse array of citizens to put their money where they say their heart is,” Ashe said. In 2016, well-known environmental activist and writer Terry Tempest Williams and her husband, Brooke, pursued a course of action similar to that of Jane Goodall with grizzly tags. Their objective was to secure oil and gas leases from the Bureau of Land Management with the express intent not to exploit the leases, which were near scenic wonders beyond their backyard in Utah. Williams wrote an essay in The New York Times explicitly saying that she and her husband adhered to the rules of the government bidding process for oil and gas leases and paid the fees. The Williamses knew they were challenging a deeply ingrained paradigm. They had seen their friend, climate change activist Tim DeChristopher, spend almost two years in jail for bidding on oil and gas leases as an act of civil disobedience in 2008. The couple formed a company called Tempest Exploration Company, LLC, and acquired federal oil and gas drilling rights to 1,120 acres in southern Utah. Yet they were confronted with what they say is a double standard. The BLM revoked their permits, arguing that they must use them solely to carry out extraction or lose them. As lawyers representing the Williamses pointed out, there are many oil and gas companies that similarly secure a drilling permit but sit on it and don’t invest in its development. 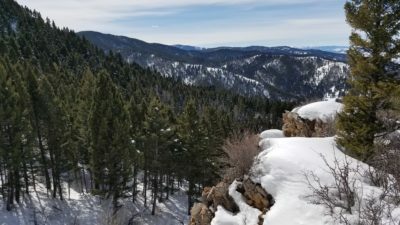 The BLM argued that because the Williams had expressed a clear intention not to develop the leases, they were violating federal energy leasing requirements. As Regan and Leonard note, the “diligent development requirement” of the Mineral Leasing Act of 1920 states that lessees “must exercise reasonable diligence” in developing leased energy resources on federal lands. Around the same time that Goodall paid her fee with the hopes of trying to bag a bear tag, PERC executive director Brian Yablonski and I were staring at a map of the Greater Yellowstone Ecosystem with lines drawn across it. They resembled veins in the human body. The swerving patterns demarcated nearly a dozen seasonal migrations of thousands of elk moving between summer calving and foraging grounds in the mountains and winter ranges at lower elevations. Two months later, I met with Yablonski again, and this time two key players in the discussion about how to build goodwill and trust with private landowners had joined us. One was wildlife researcher Arthur Middleton, affiliated with the University of California at Berkeley, the University of Wyoming, and the National Geographic Society. 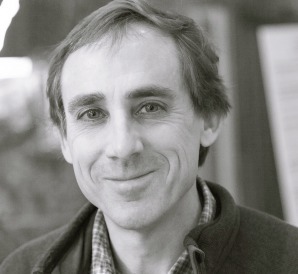 Middleton is one of the scientific leaders in assembling the elk map using data from GPS trackers. Another is Lesli Allison, executive director of the Western Landowners Alliance, comprising ranchers from across the political spectrum who are helping to pioneer creative new approaches to on-the-ground conservation. Given PERC’s credibility within the spheres of the free-market environmental movement and its promotion of private property rights, helping bridge wildlife biologists and ranchers makes eminent sense. But Yablonski knows that time is of the essence. 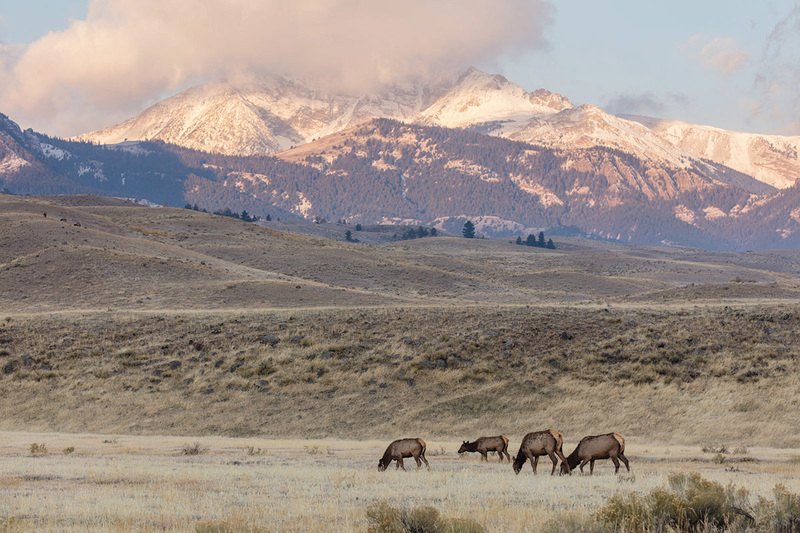 Portions of the Greater Yellowstone Ecosystem today are being inundated with population growth, public lands visitation records are being set year after year, and the window for protecting wildlife corridors in perpetuity is closing.